Ebay Shop with 15% off Prices. .....Please read first before Purchasing any Air Weapons VCRA 2006..
....Air Rifle & Pistol Spare Mags. ..Air Rifle Pellets .22 5.5mm + Soft Tail Darts. ..Air Rifle Telescopic Sight + Spotting Scopes + Laser Sights. ..Air Rifle-Pistol Soft Tail Darts. 177 + 22 Calibre. ..Swiss Arms Holsters + Swiss Arms Tactical Vests & Wear etc. .177 & 6mm Steel BB's. Barnet Archery Bows + Arrow sets. Grip Seal Write on Panel bags. Please visit our newly introduced Ebay Shop Category and benefit from 15% off all Ebay Prices..
Top Category on left...reduced prices will be located in price box, not description..
To include, Pellets, Arrows, Mags, Targets, and lots lots more. 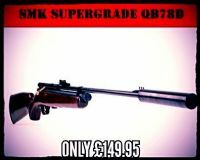 We are now pleased to announce great prices paid for second hand airguns. Please contact us with relevant information. We are a family run business located in Hazlemere, High Wycombe, Buckinghamshire. 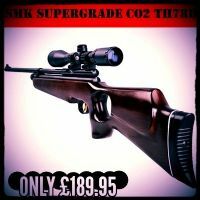 MR Services Hazlemere Ltd specialise in Air Gun Supplies, Accessories, Airsoft Guns and much more! We include FREE SHIPPING on all UK orders with the exception of Airguns, which must be hand delivered or Collected by law. 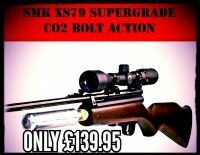 Many Airguns are held in stock and are ready to be delivered or Collected today in the following counties: Bucks, Berks, Herts, Oxon, Beds, Surrey & Middx for only £14.99. Click on the links above to browse a more comprehensive range of products from Range Right Ltd & Sportsmarketing. Found something you like? Good. Give us a call and we will supply you with the best price! Pay via Paypal, Debit/Credit Card or Cheque or Postal Order. To pay via Debit/Credit card, choose the Paypal option and follow instructions..
MR Services Hazlemere Ltd...Directors...Mark Ridgway & Lynn Ridgway.